This April marks the launch of Sustainable Brand Index™ 2019, Europe’s largest brand study on sustainability. In this business-to-consumer study, 50.000 consumers have been interviewed about the environmental and social responsibility of exactly 1.148 brands across 5 countries (Sweden, Norway, Denmark, Finland & The Netherlands). In all Nordic countries, the long awaited Sustainable Brand Index™ results of 2019 have now been announced. First and foremost, Sustainable Brand Index™ generates unique sustainability insights and consumer data across markets and countries. The key can be found in a systematic analysis of stakeholders, brands and industries over time. With almost a decade worth of data, Sustainable Brand Index™ is able to shows how stakeholders behave, value and see the future. By analysing behaviours and attitudes, the study created understanding of different types of consumers and how these affect brands. A tailored strategy report is furthermore available for all brands included in Sustainable Brand Index™, providing brand-specific insights and increased market knowledge of competitors, stakeholders and current trends in sustainability. Sustainable Brand Index™ furthermore includes a yearly brand ranking per country, announcing the sustainability ranking of all brands according to consumers. Over the last decade, the ranking of Sustainable Brand Index has grown into one of the most important independent indexes within sustainable branding and communication. The official ranking of Sustainable Brand Index™ shows how brands are perceived in terms of sustainability by their important stakeholders. Every year, a selection of brands is awarded the official title ‘Industry Leader’ within their own industry. In ever country there is most importantly an overall winner - one brand that can call itself ‘The Most Sustainable Brand of 2019’. The ranking score is a combination of both environmental and social responsibility, based on the definition of sustainability according to the UN Sustainable Development Goals. The score is assembled through a top box-method, consisting of awareness levels and stakeholder attitudes. Why Is Sustainable Brand Index™ Important? The purpose of Sustainable Brand Index™ is to visualise the value of sustainable branding and spread and increase knowledge about this topic. By analysing important trends, mapping stakeholder’s attitudes and behaviours and evaluating brand drivers, the study provides brand-specific data and strategic tools. In doing so, Sustainable Brand Index™ encourages brands to improve their work and dares them to communicate about sustainability. In a data-driven way, Sustainable Brand Index™ is able to identify important gaps between how brands think they are perceived and the reality. The more brands communicate about their sustainability efforts, the higher the interest, knowledge and demands of stakeholders will be on these issues. It creates a positive cycle for transparency and sustainability. View the complete Norwegian rankings and results of 2019 here. View the complete Danish rankings and results of 2019 here. View the complete Finnish rankings and results of 2019 here. View the complete Swedish rankings and results of 2019 here. 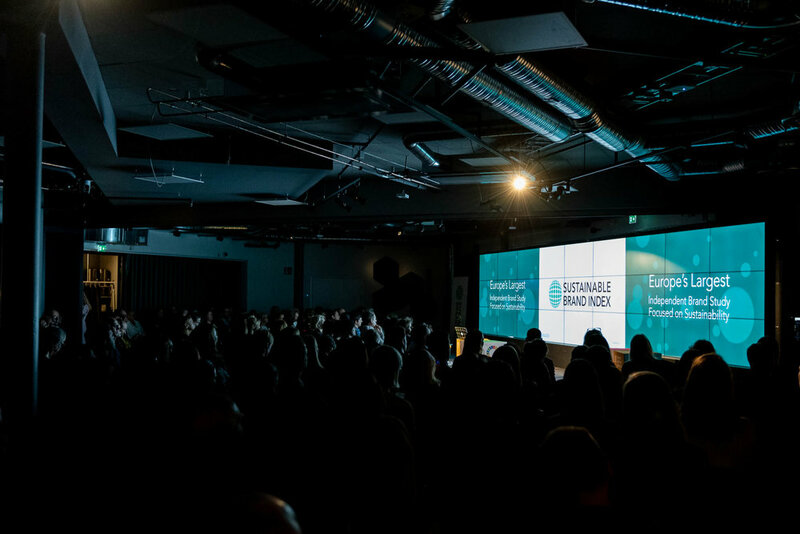 The Sustainable Brand Index™ Awards of 2019 took place in Norway (April 2), Denmark (April 4), Finland (April 8) and in Sweden (April 11). On April 17th in Amsterdam, The Netherlands will also know who will be able to call its The Most Sustainable Brand of The Nederlands 2019”. It will be an evening full sustainability insights, awards and inspiring speaker; like Ben & Jerry's founder Jeff Furman! Don’t want to miss it? Get your ticket here.